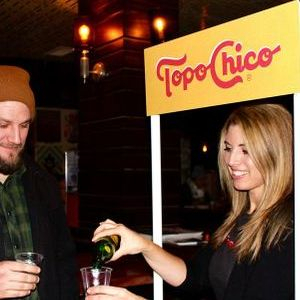 Hire Trade Show Models, Brand Ambassadors, Event Staff or Promotional Models for your next event! "Dance Spectacular Productions" takes pride in having an elite team of hand selected professional talent that are the best in the industry. We work closely with you to ensure all your needs are met and that we exceed your expectations in all areas. Utilizing our talent will double to quadruple qualified leads for your company. promoting your company in a classy & professional manner. 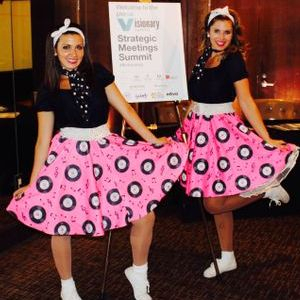 When it comes to selecting a Brand Ambassador, Trade Show Model, Event Staff or Promotional Model for your event, we realize just how important your decision is. 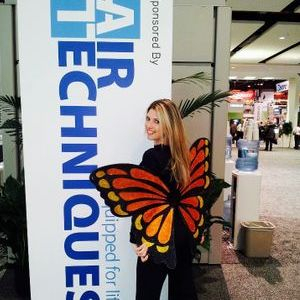 Our seasoned staff of professionals know what it takes to ensure you have a successful event. 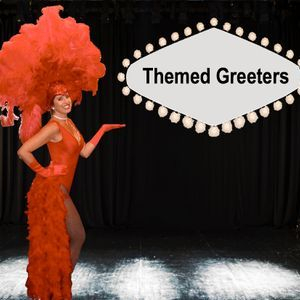 From learning your product and generating leads to attracting booth traffic and scanning badges, "Dance Spectacular Productions" will represent your brand to its fullest leaving a 5 Star lasting impression on your potential or existing customers. "We have hired the Dance Spectacular Productions for over seven years now and every year have been impressed with their professionalism and hard work. They have consistently evoked total courtesy and respect with all of our customers especially with our international division of clients. Always on time, if not early. Always eager and excited to learn about our new products. Easily brought that enthusiasm for our products to all of our customers. 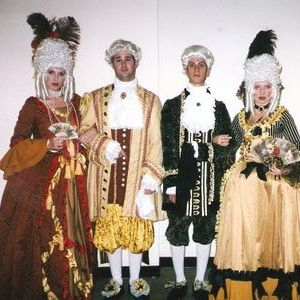 They were easily adaptable to different types of clientele. They are excellent at drawing in crowds to our booth, which turned into more leads for our company. What impressed me the most was that we never had to worry or supervise them; they knew exactly what to do and how to achieve it. We would recommend them with 5 stars." 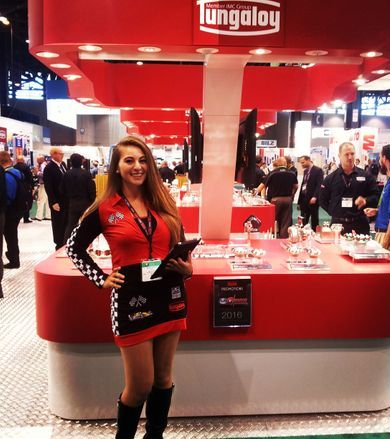 "Fuchs Lubricants Co. had the pleasure of working with Lisa Michelle during the 2012, 2014 & 2016 IMTS trade shows at McCormick Place, Chicago, IL. 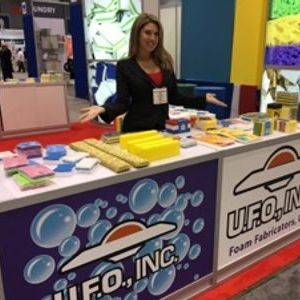 Lisa was hired to work in our 40’X40’ booth as a hostess for five days of the show and her responsibility was to greet customers as they entered the booth, direct them to the appropriate Fuchs personnel when necessary and offer booth visitors beverages as appropriate. 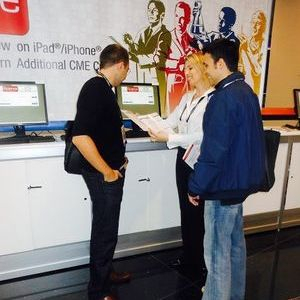 A portion of our booth design was the utilization of an in-booth “training theater” where technical seminars were given by industry experts four times per day. Initial attendance at the seminars was 2-10 participants in a theater capable of holding 20. 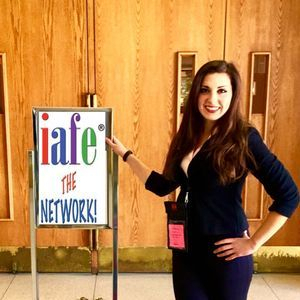 At the beginning of day two of the show, Lisa encouraged me to allow her to act as a crowd gatherer by announcing to passersby that the next seminar was about to start within the next 15 – 2 minutes (she made multiple announcements per seminar). The result of her efforts was that attendance immediately increased to 20 – 45 attendees per session making it a great success. In addition to her help in filling our theater, Lisa was a pleasure to have in our booth and worked non-stop at her hostess duties. 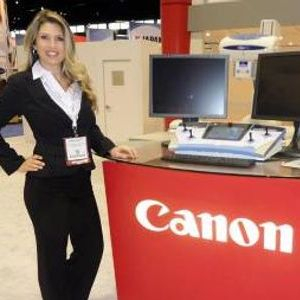 She was pleasant and cheerful and had a very positive impact in the success of our trade show. I give her my highest recommendation and look forward to having her back in 2016."